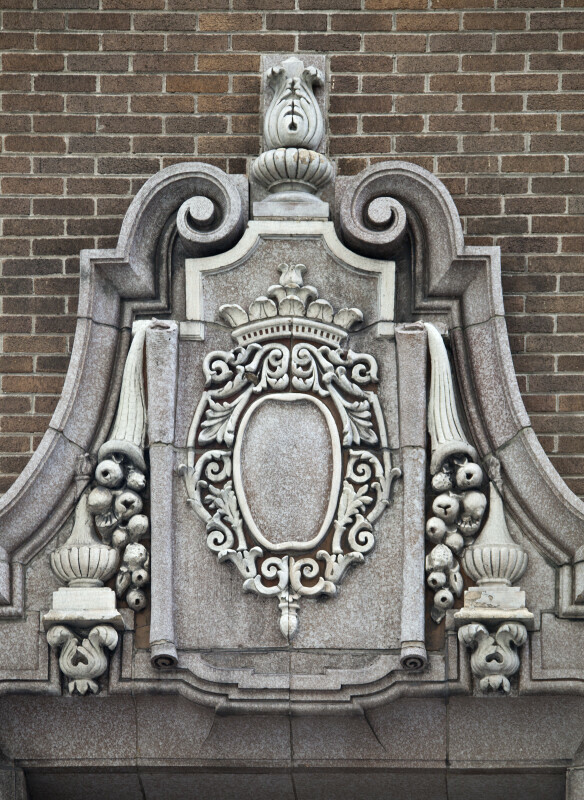 This cartouche is flanked by Flemish scrolls. There appears to be a hoop crown, or circlet, above the cartouche. There is fruit, and bottles, to either side of the cartouche. This building is listed on the National Register of Historic Places.